The professional association of bus and coach operators (BAAV) is promoting the sector and defense of interest, education and services to its members private bus and coach operators. In addition BAAV is hosting every two year BUSWORLD Europe, which is globally the biggest B2B trade fair within the sector. Busworld started in 1971 and is held every two years in Belgium. With over 40 years of experience, it is the oldest and most famous bus and coach exhibition. In 2001, Busworld went worldwide and it now has four sister exhibitions covering all continents.Other Busworld editions are being organised in Turkey, India, Sout-east Asia, China, Central Asia, Latin America. 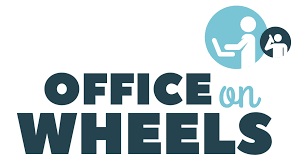 Office on Wheels is coordinated by BAAV, who coordinates the quality and service level. The 12 private bus and coach operators commit to high-quality services to companies and employees. In this way we wish to actively contribute to a solution for the current mobility problems. Busworld Academy is the knowledge institution committed to Busworld and organises all events, conferences, seminars in addition to th Busworld trade fairs. 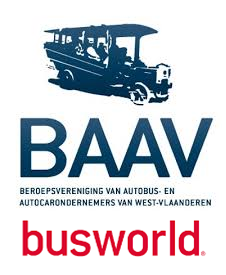 Busworld Academy is a project of the Busworld Foundation, of which BAAV is main stakeholder.